Riding on your own is all well and good but there is something nice about being with others. The miles seem to whizz by quicker and there is often decent banter between riders. So what do you need to think about if you are contemplating heading out on a bunch ride? 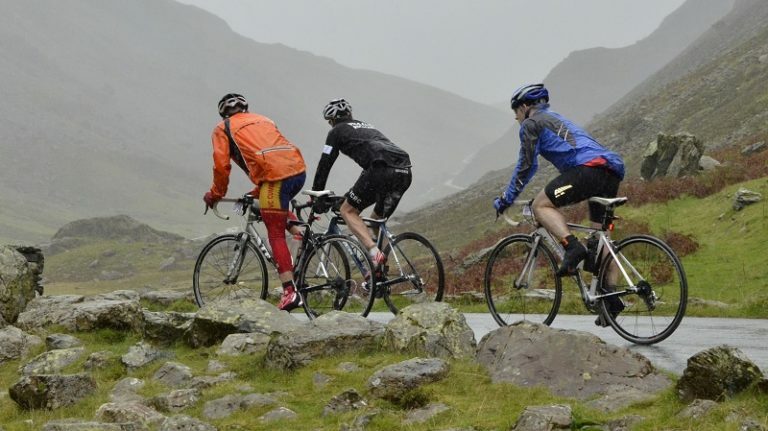 Here’s our top tips for group ride newcomers. Communicating within the group is vital, not just chit-chat about uncle Eric’s kitchen extension, or what Dave at number 23’s been up to… but stuff relevant to the ride. Shouts such as ‘Car Up’ for a car ahead, or ‘Car Back’ for a car behind, are important for the safety of the whole bunch. Non-verbal communication is important too; Pointing out holes in the road (full-time job in itself in the UK) or dead animals in rural areas is also vital for ride safety. As well as looking out for traffic, keep an eye on riders ahead of the ones you are riding behind. Being alert to anything that could cause an issue to the group – not just yourself. Riding on the open road, whether you are on your own or in a group requires that you follow rules like all other road users. Double white lines should not be crossed and junctions and traffic lights should be handled with extra care in a group. There is a required level of competency for riders in a group, you need to; be able to ride in a straight line without weaving, overtake to the right of the group (not the inside), try not to brake too hard, don’t drop back when you get out of the saddle. 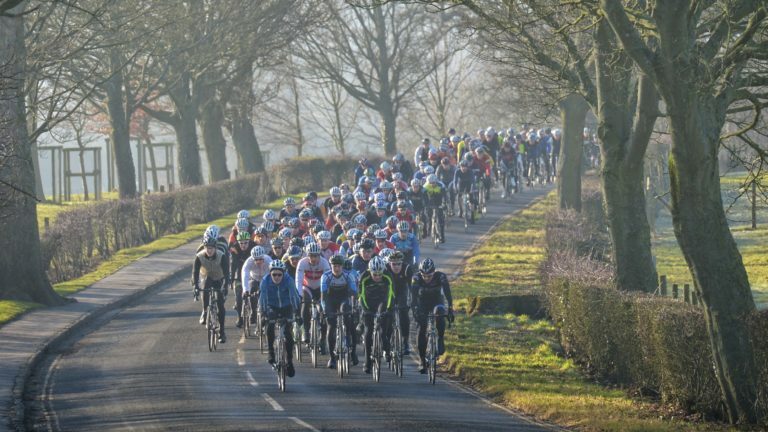 Take extra care when riding with people you don’t know, in a sportive for example, give riders you don’t know a little extra room. Riding either directly behind another rider’s wheel or overlapping inside or outside is dangerous and can give you less time to react to any movements from the rider in front. Make sure that your bike is working well. 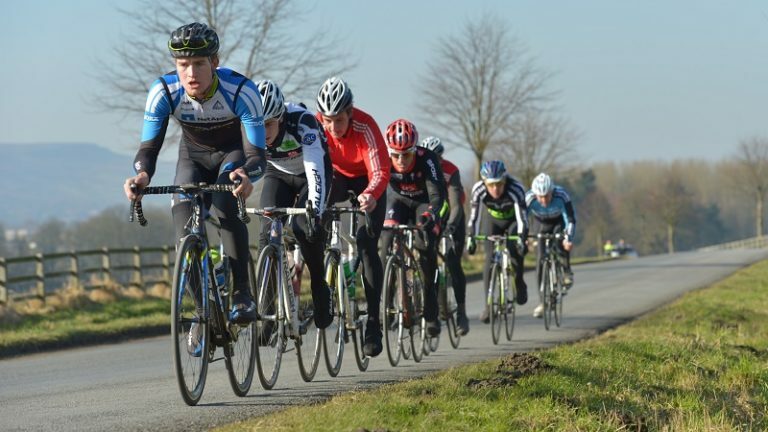 Issues such as gears not quite set up correctly of poor brakes can be annoying and also dangerous in a group ride. Make sure you have a spare tube, tyre levers and pump as a minimum, a small mini tool can also be worth the slight extra weight. Emergency food is also a good idea – tape a spare gel under your saddle for emergencies. On a group ride, the usual etiquette is that when a group is riding two a breast, every few miles, the two riders on the front would swing off and re-join the rear of the group. Doing equal ‘turns’ on the front is ideal as the extra effort of riding on the front is shared between the group. When you get to the front, try to hold the pace at a consistent level for the group. Avoid riding in the gutter. The very edge of the road is not a great place to ride. As well as the stuff that causes punctures such as glass, bigger stones etc there can also be more substantial stuff, such as bits of cars, bits of wood, dead animals etc. Riding in the gutter also increases the chance of clipping pedals on curbs, slipping on metal grates. A momentary lapse of concentration can also lead to an off-road adventure. Riding at least 30 cm out from the gutter should keep you safe. 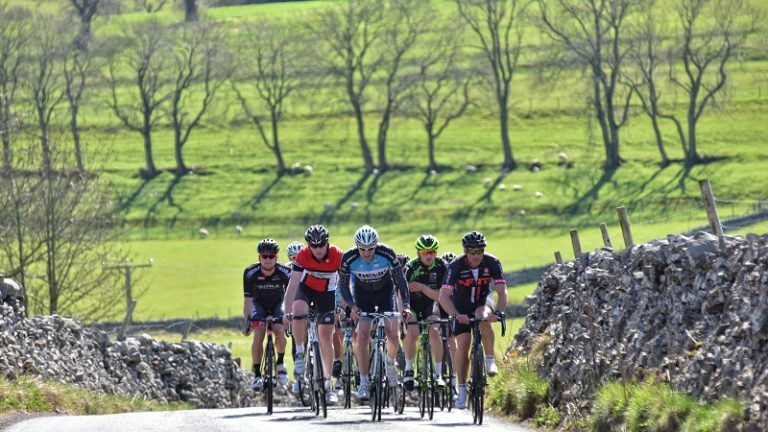 On climbs and descents, groups can split and break up, while usually riders will reform, there are times when the group ends up in a free-for-all, at almost race like pace (Often to ‘win’ a village / town sign or café stop). This is fairly standard and is usually followed by the group getting back together again, sometimes slightly worse for wear. Tagged bunch banter, bunch riding, club ride cycling, cycling banter, cycling group, group cycling, riding in a group, social cycling. Bookmark the permalink.